VertaseFLI was employed by Brent Council to undertake the remediation and reinstatement of 61No residential gardens contaminated with Benzo(a)Pyrene in West London. 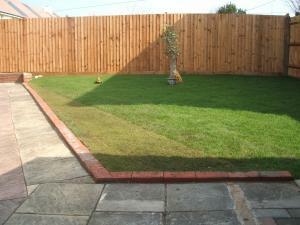 The properties were occupied and residents required access to their properties throughout the duration of the remediation works, with all gardens and fence lines reinstated to original line and level. Due to the proximity of the works to residential properties, extensive environmental monitoring and liaison with the residents was required. VertaseFLI was required to excavate Benzo(a)Pyrene impacted soils to 600mm below ground level to remove the ongoing risk of contamination to the residents. A high visibility geotextile membrane was installed at the base of the excavation to act as a barrier between contaminated soils below and a clean pathway break reinstated above and as a visible no-dig barrier. Reinstatement work included the import and placement of a 600mm pathway break including subsoil and topsoil to original ground level. 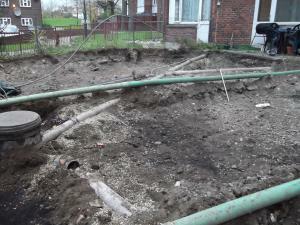 Subsoil and topsoil imported to site was subjected to extensive chemical and geotechnical analysis to ensure suitability for use during reinstatement works. Following placement, subsoil was subjected to final geotechnical testing to ensure acceptable compaction has been achieved.